At this point, we know what controversies Big Bang has gone through. Many questioned how long the band would stay together, but when Big Bang released Alive on February 29, there have been mixed reactions to say the least. VIPS have been raging to support the boys, while the haters have been hating. But what about the people who are neutral? For me personally, I like Big Bang, and I find that their music is pretty good. Sure there were some misses along the way, but there were also some definite hits. “Blue” was released a week earlier than the album, and received generally good reviews. 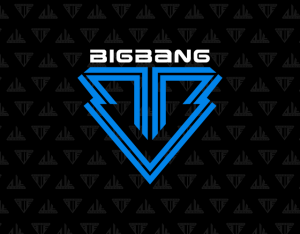 The song is about the feeling of Big Bang’s past troubles and blues, which makes it a perfect track to include in this album. It’s a nice track that’s easy to listen to while you’re driving or studying. Overall there’s nothing wrong with this track, just that as a whole, it veers a bit into the mediocre. “Love Dust” is a lighthearted song that contrasts with the previous track, but unfortunately it falls flat. The track is decent, but is kind of boring to listen to. “Love Dust” has an interesting case, because most of the time people seem to love the chorus and forget the verse, but it’s the verses in this song that stand out more than the chorus. Taeyang‘s part in the chorus seems to follow a linear path of dullness, instead of building the audience up. The rest of the chorus picks up a little more, but not enough for me to fully commit to this song. What shines in this mini album is “Bad Boy.” I think it’s safe to say that this is one of their better tracks, if not the best track in the entire album. I asked the other Seoulbeats writers about what they thought of this song, and I got a nearly unanimous positive feedback from the crew, which is quite an impressive feat. Everything in the track just blends so well together. There’s a good harmony between the members, and it makes me appreciate the relatively simple but interesting dynamics that “Love Dust” needed. This song also shows how polished Big Bang has become. Some say that it’s a good thing, and others beg to differ, thinking it messes with the original Big Bang charm, but I personally think that becoming polished is a part of a group’s evolution. A group cannot keep having the same sounds, so I’m glad that Big Bang is showing how professionals do it. I have no critiques for this song, just slow claps of satisfaction. “Fantastic Baby” redeems “Ain’t No Fun” with some fun, though the key word is “some.” “Fantastic Baby” reminds me of something GD&TOP would have in their mini-album. Seungri sticks out like a sore thumb because he sounds nothing like himself. “Fantastic Baby” is a solid dance song number, but it isn’t as fun-sounding or energetic as something like “High High.” Instead, it sounds more commercialized and contained, which limits the potential that the track could have achieved. “Wings” is a solo song from Daesung. Considering that he has been through a lot of guilt and pain, it was nice to hear this song from him. It felt like he was conveying that he’s okay now, and is ready to stand up again. I am really glad that they included this song in the album, and I give Daesung more props for contributing to the lyrics as well, which makes this track more authentic. Overall the album is solid. None of the songs were horrible, but many of them suffered from being too bland. It seems Big Bang still has their style, but at times, it also started to get borderline boring. “Bad Boy” and “Wings” are definite highlights of the mini-album, but I hope that in the next album they can bring some energy back and hit a home-run instead of a double. Agree or disagree? Boring or great? Big Bang, great as ever, or slowly turning bland? When Fans Buy Idols Lunch…? !